Photo Glen Washington black and white photo shot by Floyd Celluloyd for Innermann a decade of reggae photography. Please respect the copyright. Do not use the photos without written permission. The musical career of Glenroy Washington, singer, songwriter and drummer, personifies the cliché; "The race is not for the swift, but for those who can endure." The triumph of Glen Washington´s endurance has been 25 years in the making. Like most successful artists, Washington evolved from humble beginnings. Born in the parish of Clarendon, Jamaica he is currently one of the most in demand artist in reggae music; this has come after many years of recording and waiting in the wings. In 1997, he released his debut album "Brother To Brother" and, to date, has released 10 albums. Fans and critics alike say there is not one bad song in his catalog. Washington began his musical career in the early seventies as the lead singer for the group "Names And Faces." He later became the lead singer in a band called "35 Incorporated" and learned to play the drums under the guidance of, then drummer, Joseph Hill. When Hill left the band, Washington filled the slot, and became a singing drummer. There are positive lessons of encouragement and motivation to learn from Washington´s experiences. His musical career is reminiscent of Boris Gardener, singer, bass player and bandleader who after 25 years in the music industry recorded the golden "I Wanna Wake Up With You." In the same vein, it was thirty years after recording the classic "Black Magic Woman" that Santana went on to sweep the 2000 Grammy awards for the gigantic hit "Maria Maria". Similarly, Washington made his first hit record "Rockers Not Crackers" in 1978 for the Joe Gibbs Record label; but he did not grace the charts again until the release of the hit "Kindness For Weakness" in 1998. Most music industry insiders would say that after 20 years in the business, it’s unlikely that an artist would release his biggest hit, but it has been proven again and again how speculative this business is. Over the years, Washington has recorded sporadically as a solo singer and extensively as a studio drummer and, has laid tracks for various artists. Simultaneously, Washington was a full-time drummer (sometimes singer) in several different bands, such as: The Avengers, The Titans, and Happiness Unlimited. With Happiness Unlimited he migrated to the USA to work with Stevie Wonder. The other Bands he played with are Calabash and Bands that backed Artists such as Leroy Sibbles, Shinehead, Junior Reid, Gregory Isaacs, Sister Carol and the Meditations. 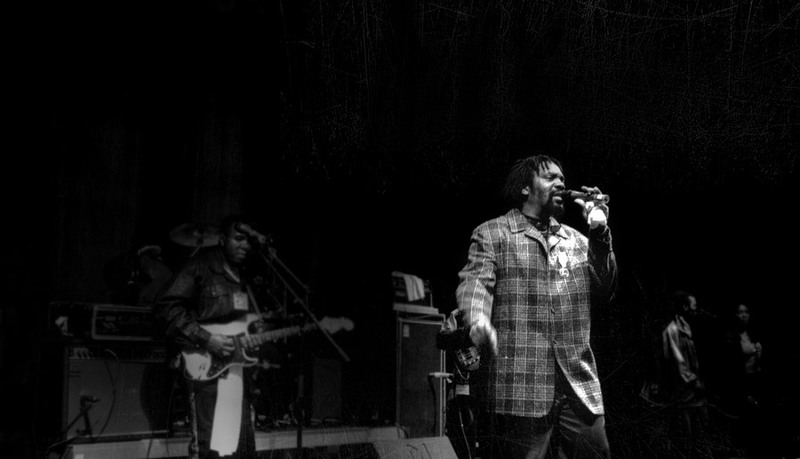 After a short hiatus from performing in 1997, Washington once again pursued his solo singing career by doing some recording sessions for Studio One´s, famed Producer - Clement Dodd. It was dejavu all over again with the release of Washington´s awesome debut album "Brother to Brother". It seems the Studio One sound was launching another Artist career. However, it was a year later while recording for Producers Lloyd Campbell & Jason Sterling, that Washington hit with the classic album "Next To You." It was marketed by VP Records and featured the hit song "Kindness for Weakness", all tracks on this album are considered single material. From the resurgence of Glen Washingtons singing career, his smooth, raspy, bass voice has often been likened to that of Beres Hammond. Washington says, "Beres is one of my favorite entertainers, so I regard it as a compliment to be compared with him." With the release of over forty singles and eleven albums in four years, Washington has established himself as not only a singer but, also as a gifted songwriter who penned his own songs.